It's time to share the latest sketch from the Atlantic Hearts Sketch Challenge. 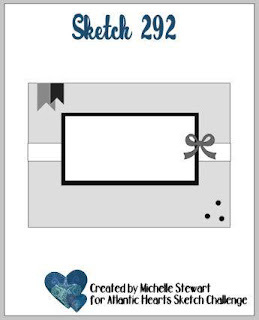 It's super fun and creates a quick and easy card...perfect for the holidays!! And here is my card using the sketch. Purple is so not my color but every so often I have to pull it out and play!! The stamp set, Snow is Glistening, is part of the limited edition Snowflake Showcase -- be sure and order yours today!! It is only available until Nov. 30th or while supplies last!!! 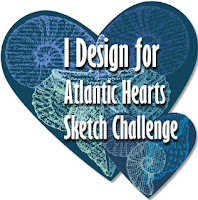 And also be sure and join us at Atlantic Hearts Sketch Challenge for our latest and funnest sketch!